Charles Edward Hastings Medhurst was born at Smethwick on 12 December 1896, the second son of the Rev. C. E. Medhurst, the vicar of Collingham from 1906 to 1916. Charles was educated at St Peter’s, York, and Sandhurst, and was commissioned in the Royal Inniskilling Fusiliers in June 1915. Having been awarded Royal Aero Club pilot certificate No. 1437 on 13 July 1913, he was, two months later, seconded to the Royal Flying Corps for flying duties, and trained to be a pilot with the Royal Flying Corps (20 August 1915). He was soon (15 October 1915) operational on the Western Front flying the Nieuport Scout with No. 13 Squadron. On the 15th April 1916, he became a flight commander with No 60 Squadron RFC flying the Morane Bullet, Morane Biplane and Nieuport 13/17 on the western Front. In 1917 he became the officer commanding No. 14 Squadron operating in Palestine with the Middle East Brigade, flying the BE12a and RE8, and he saw service in Salonika in 1918. He was reportedly the youngest flight commander and in 1918 was awarded the Military Cross. Lieut. Hastings Medhurst, of the Royal Flying Corps, the youngest son of the Rev. C.E. Medhurst, Vicar of Collingham, has been promoted to the rank of Flight Commander. In his new capacity he will be in charge of four flying machines, with eight officers and fifty men under his control. Although only 19 years of age he has done excellent work during the past six months for the British Army in the theatre of war. Whether making daily excursions over the German lines for observation purposes, or attacking vulnerable points with his machine gun and bombs, he has always been as cool as the proverbial cucumber. Often he has found himself in a tight corner, but his quickness and coolness have saved the situation. On one occasion his petrol tank was pierced by German shell fire, and the oil poured out, but by keeping the nose of his machine pointing downwards he preserved enough petrol in one corner of the tank to carry him back to the British lines, where his machine bumped down with but slight damage. His numerous friends in Collingham and the neighbourhood will be pleased to hear of his rapid and well-earned promotion. COLLINGHAM MAN MADE FLIGHT COMMANDER AT 20. Lieutenant Hastings Medhurst, son of the Rev. C.E. Medhurst, vicar of Collingham, has just been promoted to the rank of Flight Commander. He is only 20 years of age and is said to be the youngest Flight Commander in the British Forces. He joined the air service less than 18 months ago. It appears that on December 8th last year he had a very narrow escape. His former Commanding Officer writes that while engaged in bombing a German aerodrome from a height of about 8,000 feet his aeroplane was seriously damaged by shells, one of which pierced his gravity-tank, forcing him to make a rapid and risky descent. Owing to his skill and presence of mind, he succeeded in landing just clear of the enemy's first line, and, with the assistance of some gunners from one of our field batteries, was able to bring his machine into safety. Probably this incident contributed something to other good and useful work that he has done in bringing about his promotion. MILITARY CROSS FOR LIEUTENANT MEDHURST. Lieut. (Temporary Captain) Charles E. H. Medhurst, Royal Inniskilling Fusiliers and Royal Flying Corps, who is 21 years of age, and the youngest son of the late Rev. C.E. Medhurst, vicar of Collingham, formerly vicar of Thorparch, has been awarded the Military Cross. He successfully bombed from a low altitude hostile batteries which were in action, and silenced their fire. OFFICER WINS MILITARY CROSS IN EGYPT. The Military Cross has been awarded to Major Hastings Medhurst, R.F.C., the youngest son of a former vicar of Collingham. He is 21 years of age, and his relatives reside at Grove House, Halton, Leeds. Lieutenant (temporary Captain) Charles Edward Hastings MEDHURST, Royal Inniskilling Fusiliers and Royal Flying Corps. On the night of 1/2nd November, 1917, on the Gaza front, he successfully bombed hostile active batteries from a low altitude, thereby stopping their fire, when our artillery was unable to reach them. At the end of the war, Charles Medhurst remained in the RAF, being awarded a permanent commission as a Captain in the Royal Air Force on the 1st August 1919. In 1919 he married Christabell Guy, daughter of the late Canon T. E. B. Guy, of York, in 1919 in York. In 1920, he returned to England and was selected for technical engineering training and took the technical course at Chiseldon. On the 13 Apr 1920 he was Flight Commander/Supernumerary Sqn Ldr in No 208 Sqn. before attending the School of Military Administration (6 May 1921). Later, on the 13th August 1921 he joined the staff of the Inland Area Aircraft Depot, RAF Henlow. On the 15th October 1923, Charles joined the staff of the Deputy Directorate of Organisation. In 1925 on the 4th May, he took the R.A.F. Staff College course and the following year (25th May 1926) the senior officers’ course, after which (21 September 1926) he went out to Iraq for two years’ air staff duties, as well as operational duties against the Akhwan in the Southern Desert, January to June 1928. After a brief period at the RAF Depot (23 Nov 1928), he was selected for the Imperial Defence College course (14 Jan 1929) and then, starting on the 1st January 1930, he became Officer Commanding No. 4 Squadron at Farnborough flying the Atlas I. Then followed three years (3rd January 1931 - 1 February 1934) as instructor at the RAF Staff College. By this time it was clear that it was in the direction of air staff duties rather than in the technical field that his bent lay and in 1934 he returned to the Air Ministry with the rank of Wing Commander, in the Directorate of Operations and Intelligence. He became a Deputy Director in 1935. In August 1937 he went out to Rome as Air Attaché and remained there until 1940 when Italy entered the war. He then returned to England to become the R.A.F. Secretary of the Supreme War Council. Charles had a distinguished career in the Second World War. In 1940, he became Director of Allied Air Cooperation, and after a short time as Director of Plans he was appointed Assistant Chief of Air Staff (Intelligence) in 1941. He was made an additional member of the Air Council in October 1941 while acting as temporary Vice-Chief of the Air Staff, and in the following year he was appointed Assistant Chief of Air Staff (Policy). For the last two years of the war he was Commandant of the R.A.F. Staff College. Air Vice-Marshal C.E.H. Medhurst has been appointed Commandant R.A.F. Staff College. Air Vice-Marshal Medhurst, who was air attache in Rome between 1937 and 1940, later became Director of Allied Air Co-operation. He has been Assistant Chief of the Air Staff (Policy) and was temporary Vice-Chief of the Air Staff for a short period. Previously he was Assistant Chief of the Air Staff (Intelligence) after having been Director of Plans. Born at King's Norton, Staffordshire, in 1896, he was educated at St.Peter's School, York, and the Royal Military College, Sandhurst. He is a son of the late Rev. C.E. Medhurst, of Collingham and married a daughter of the late canon T.E.B. Guy, of York. Air Vice-Marshal Medhurst was awarded the M.C. in 1918, "for successfully bombing from a low altitude hostile batteries which were in action and silencing their fire." He was awarded the O.B.E. (Military Division) in 1919, and the C.B.E. in 1942. In 1944, personal tragedy struck his family when his only son, Pilot Officer R. E. H. "Dickie" Medhurst, was killed on 19 September 1944 when the Douglas Dakota Mk. III he was co-piloting exploded after taking Anti-Aircraft Artillery fire during an air drop mission during Operation Market Garden at Arnhem. Charles also had a daughter who was reported at the time to be an Italian speaker and code breaker at Bletchley Park, the Government Code and Cipher School. Pilot Office Richard Edward Hastings Medhurst (R.A.F>), only son of Air Vice-Marshal and Mrs. C.E.H. Medhurst, of Bishopsthorpe, York, is reported missing from air operations, it is announced today. 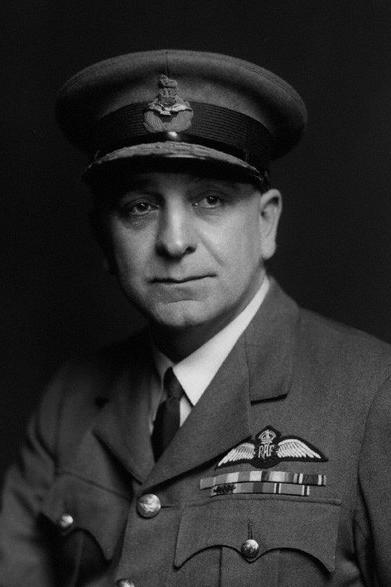 Air Vice-Marshal Medhurst, who has been Commandant of the R.A.F. College since 1943, was formerly Air Attache at Rome, Berne and Athens. In October 1945, Charles Medhurst became Air Commander-in-Chief, Mediterranean and Middle East Command, with headquarters in Cairo. Later he faced the difficult task of carrying through the move of his headquarters and the major part of his forces from the Nile to the canal zone. He was succeeded as Air Commander-in-Chief by Sir William Dickson in March 1948, and in May (23 May 1948) he went to Washington as Head of the Air Force Staff, British Joint Services Mission, being promoted Air Chief Marshal shortly afterwards. In Washington he moved with a sure step at a time when a quick understanding of the American mind and scene was indispensable. He retired in 1950. It was in the field of Intelligence and in the Royal Air Force’s relations with the air forces of other countries that Sir Charles made his greatest contribution to his service. His ease of manner and quiet charm made him an excellent “mixer” and brought him a wide circle of friends in London, Washington, Cairo, and many of the European capitals. He retired from the RAF in 1950 and he died in hospital at Lymington, Hampshire, on 18 October 1954, aged 57. In recognition of all his his service, Air Chief Marshall Medhurst was awarded the KCB (Order of the Bath) (14 June 1945), the CB (1 Jan 1942), the OBE, Military Cross, 1914-15 Star, British War and Victory Medals, with oak leaf to mark his mention in despatches. He was also awarded the General Service Medal 1918-1962 with 2 clasps for the Southern Desert, Iraq, Palestine, the 1939-45 Star, the Africa Star and the Defence and War Medals and the 1937 Coronation Medal. The citation for his CB reads: "Was Air Attaché at Rome at the outbreak of war and subsequently served in the R.A.F. section of the Supreme War Council and at the Air Ministry as Director of Allied Air Co-operation and as Director of Plans. He became Assistant Chief of Air Staff (Intelligence) in March 1941. He has rendered distinguished service in all these capacities", and for the OBE: "In recognition of valuable services rendered in connection with the war." His recognition was not only confined to Britain; he was awarded the King Faisal War Medal of Iraq, the US Legion of Merit, the Order of Polonia Restituta, 2nd Class (London Gazette 12 June 1945); the Order of George I of Greece, Grand Officer (London Gazette 11 June 1946); and Order of the White Lion of Czechoslovakia, 2nd Class (London Gazette 6 September 1946).